The total number of mobile app developers is estimated to hit the 14 million marks by 2020 and this is why app development is a skill that sells like a hot cake. App developers are extremely creative, have killer coding skills and can become a major contributor to your company’s success. Hiring the right app developer for your company is crucial as it is a make or break game and one wrong move can prove to be a havoc for your app. To ensure onboarding the right app developer, you must list down some of the major traits every successful app developer has to have and to ease you out, I have combined 9 spot-on qualities of an app developer. If a candidate has all of them, take him on board and get ready to witness some stunning apps that are bound to top the app charts. Ever came across an app developer who previously worked as a web designer? This is what you should look for. A person who has his strings attached to coding. A candidate who chose to become an app developer rather than tapping this extremely creative profession casually. You will get to see a lot more dedication, persistence and can do attitude from a person who is a coder by heart because for him, developing a top-grossing app isn’t just a task but a dream that he would definitely want to witness in real. If you are interested in gaming, what would you do? Yes, you will be googling all the latest trends and news about gaming and this is my point. An app developer who isn’t aware of the industry’s happenings reflects his lack of interest in his profession. This is an absolute failure at the candidate’s side. Hire a person who likes to dwell more about the industry and who likes to gather app development knowledge for the sake of experimenting with latest coding techniques and patterns. This type of a person would be fruitful for the rest of the team too as he will be the source of spreading updates among the whole team. You may like: Interview fails? A freshie app developer can be considered for a small-scale company but if you are running a company of over 30 employees, your developer should be experienced and must have a portfolio of previously developed apps. Previously developed apps will give you a detailed insight into his skills, potential, and pace. All of these three elements would eventually help you in deciding whether to take him on board or let him leave for another opportunity. Ever faced a situation where an employee is absolutely brilliant in his performance but meanwhile, he is a toxic person for your workplace. The catch is – skill can be polished and developed with the passage of time but behavior is what matters the most. Look for a cultural fit for your workplace and you will never regret your hiring. A person who glues with people, likes to laugh, concentrates on his work and most importantly, is loyal to your company must be picked up over a person who is proficient in app development but proves to a source of irritation for his co-workers. After all, teamwork achieves the dreamwork. I know asking leadership qualities from every other candidate is a tough ask but a person without vision can’t be good for your company. Ask the candidate what is his vision about his personal and professional life? Why did he opt for app development? What efforts has he done to excel his skills and where does he see himself in the next 3 years? If you get appropriate answers to all these questions, put a check on your list and give him a chance. A person who doesn’t set his goals is destined to perish as nothing works without a plan. Modern developers aren’t just geeks who mix alphabets, characters, and numbers (Coding) but they are community builders. Boasting their presence on various online platforms such as GitHub, StackOverflow, etc. They build themselves as a brand by contributing answers, articles and codes on these DevOps platforms. An app developer who is popular among the online fraternity can successfully take your app development to a next level by raking in recognitions from influencers and development geeks. This a quality that is rare in developers and if you get to interview a person like this, hire him! Modern-day app development is whole lot different than old school coding. Companies prefer app developers who are creative and are aware of the latest UI/UX trends. A developer must have that basic instinct of visualizing the app. The candidate should have the ability to see the user interface of the app and feel the user experience of your app while it is in the wireframing phase. This is a quality that is definitely not to be missed because an app without engaging UI/UX is destined to fail. The moment a person thinks he has enough knowledge of his profession is the moment when his progress gets a full stop. App development is a niche that needs constant learning or else, an app developer gets obsoletes from the niche. You need to hire a professional who is a consistent learner. Check his LinkedIn profile and you will see his certificates, courses and, posts that will reflect his learning attitude. Moreover, always get to know whether a candidate is an avid reader. If he is, he definitely has that thirst to learn new do’s and don’ts. Let’s get it straight. An impatient person cannot be a good app developer and reasons are obvious. An app development process always contains rigorous and run-time changes that are bound to break the bar of patience. Moreover, a tiny bug or a typo in the code can stop it from working. This is where one of the major qualities of a successful app developer comes into play. He has to know how to hold his nerves and an app developer has to be prepared for uncertain tedious situations. Being an app developer is very demanding. It needs a person to communicate with people contributing to the app development process such as designers, project managers, app consultants, CTO, etc. A candidate should possess good speaking skills in order to absorb the right directions and to build an app right according to the client’s expectations or else, the risk of a glitch or even a huge blunder may always be there. 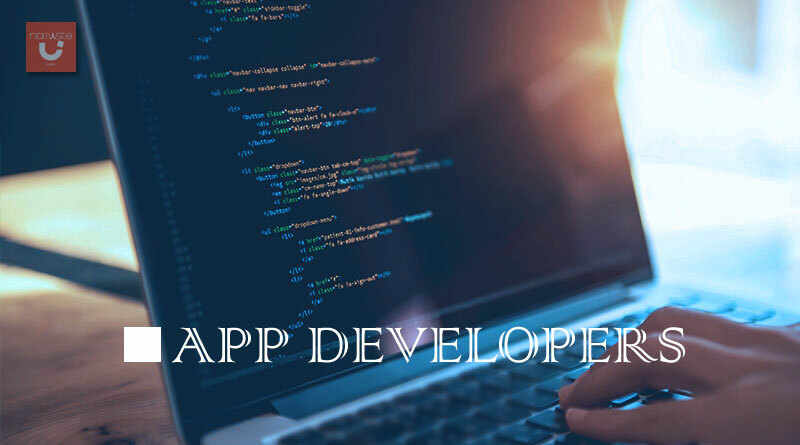 These were some of the top traits to look for in an app developer and in order to take your app development game one step ahead, try hiring a candidate who has most of these qualities to excel your business in the app development industry. Rameez Ramzan is a Senior Digital Marketing Executive at Cubix. He specializes in link building, content marketing, and site audits to help sites perform better. In his leisure time, he likes to read blogs related to Content Marketing and by the way, he is also a big fan of Neil Patel.